I believe people outside of government don’t appreciate how much day-to-day government behavior is driven by rules. Before retirement, I was a policy team leader in a Federal agency for several years. I can say definitively that most of what I did had no connection with policy analysis as that term is used in Public Administration courses. Policy work in practice was closer to legal analysis — determining the meaning of text, applying the rules to specific factual scenarios, deciding what rules the computer systems should have, etc. We were constantly reviewing the text from the U.S. Code and the Federal regulations. Did our policies and procedures implement the U.S. code text correctly? Did we do the right thing in each scenario raised by claimants, stakeholders or the congress? If anyone challenged what we did, our answer was usually to cite chapter and verse from the U.S. Code and regulations. In the great majority of cases, our policy work consisted of reviewing the rules that applied to a given situation. It was much more an exercise in logic than cost/benefit analysis or ethical analysis. I would like to review a recent example of the application of rules by the Thrift Savings Plan (TSP) to my own situation. I am retired and subject to the Required Minimum Distribution (RMD) rule in the IRS code. Last year, I applied for a one time distribution from my TSP account. I requested a $60,000 distribution, equally divided between a cash payout of $30,000 and a $30,000 transfer to my IRA account. The TSP responded very promptly to my request, but to my puzzlement they decided I should have a $39,088.62 cash payment (with a $6,000 federal withholding) and a $20,911.38 transfer to my IRA – not what I requested at all. This action was taken very quickly (a couple of days) so it makes me think computerized rules were applied to my situation. The agency’s reasoning appears to be something like this. My $30,000 cash payout should be applied to my RMD of $18,177.24. (A person reaching age 70 and a half needs to take the RMD or face severe IRS penalties; TSP is doing me a favor my applying the RMD.) IRS regulations require a 10 percent withholding (no more no less) must be applied to “non-periodic payments” (such as RMDs) unless the customer requests something different and I didn’t request something different. So, that resulted in a $1,817.72 withholding from the RMD. But, another IRS regulation says that taxable distributions from a plan like TSP must have a minimum 20 percent withholding. Instead of applying the 20 percent rule to the remainder of my cash distribution, TSP upped my cash withdrawal to $39,088.62 so that a full 20 percent ($6,000) was withheld from my original $30,000 cash request. I’m not certain TSP acted properly in my case. I have read the eight-page tax instructions TSP makes available to employees, but I don’t see where they explain my scenario. It seems like the more common sense action would have been to apply the 10 percent withholding rule to the $18,177.24 RMD and the 20 percent withholding rule to the remaining $11,822.76 of my request for cash distribution. Schwab’s website says, for qualified retirement plans, Keoghs and 401(k) plans, they withhold 20 percent of the overage for federal income tax in the manner I suggest. But the TSP is not one of these plans and may have different rules that require the result I received. Even if TSP’s action in my case is fully justified, I believe in an ideal world they would have overridden the computer rules and stopped the transaction to tell me they could not honor my request as written and to inquire if I wanted to cancel or revise the transaction. I requested a $30,000 cash distribution but they sent me a $39,088.62 distribution. It’s very possible they can’t easily override their computer rules for a scenario such as mine. It costs money to program additional computer rules, as I well know from experience. My main point is that the TSP, as with all government agencies, is necessarily fixated on following the applicable rules. Public administration is much more about math and logic than is generally recognized. I argued in my March 2016 column that government agencies simply cannot put customer service first because of all the rules and budgetary limitations. It takes an eight-page document just to explain the tax rules that apply to TSP distributions. These are not simple matters. 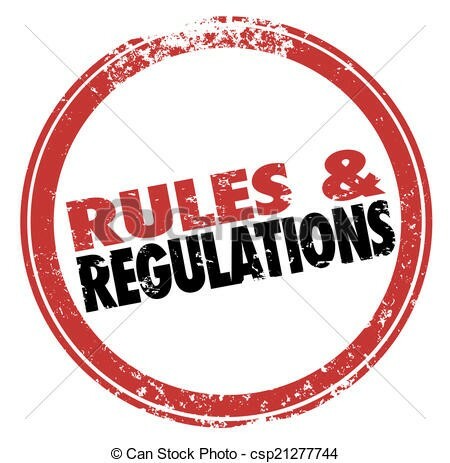 Not following a law or regulation can have severe consequences for an agency so following the law is where the primary emphasis necessarily must be. My TSP example is not an anomaly. All Federal agencies are inundated with rules. Many Federal programs consist of almost nothing but rules. The entitlement programs like Social Security, Medicare and veteran’s benefits consist almost entirely of rules. The tax code, of course, is entirely rules. There are something like 80+ federal welfare-type programs in the U.S., and they consist mostly of rules. Author: John Pearson recently retired from a lengthy career in the federal government where he was a program analyst. He has an MPA and a bachelor’s degree in economics. He now writes columns reflecting on his experience in government. His email is [email protected].